I’ve really wanted to go to DF/Mexico for a while. I’ve heard some good things, liked the look of the food on the internet. 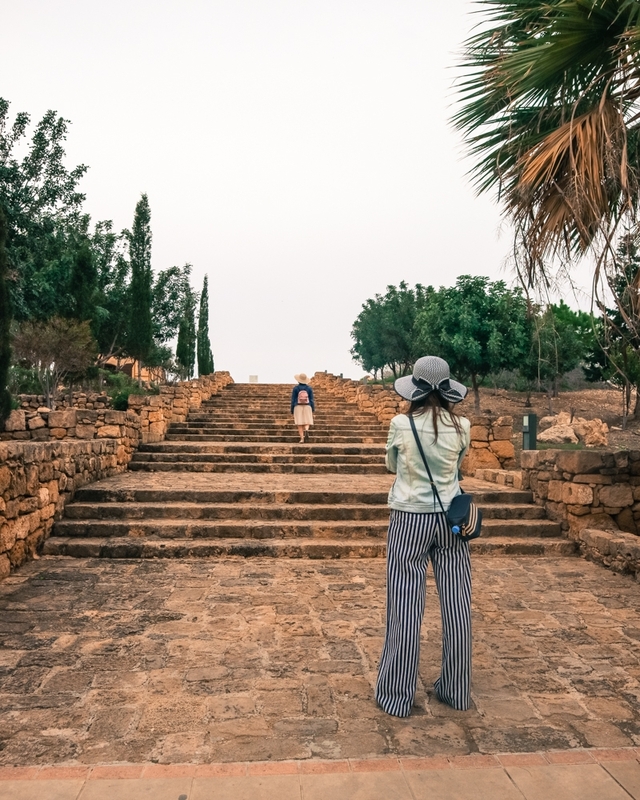 But the main reason was my FOMO – basically, it was somewhere that sounded awesome that I hadn’t been to before. Except, when we turned up for a Wednesday post-work bite to eat, I realised that actually…I HAD been before. A couple of years ago now. I’d just been really drunk at the time. 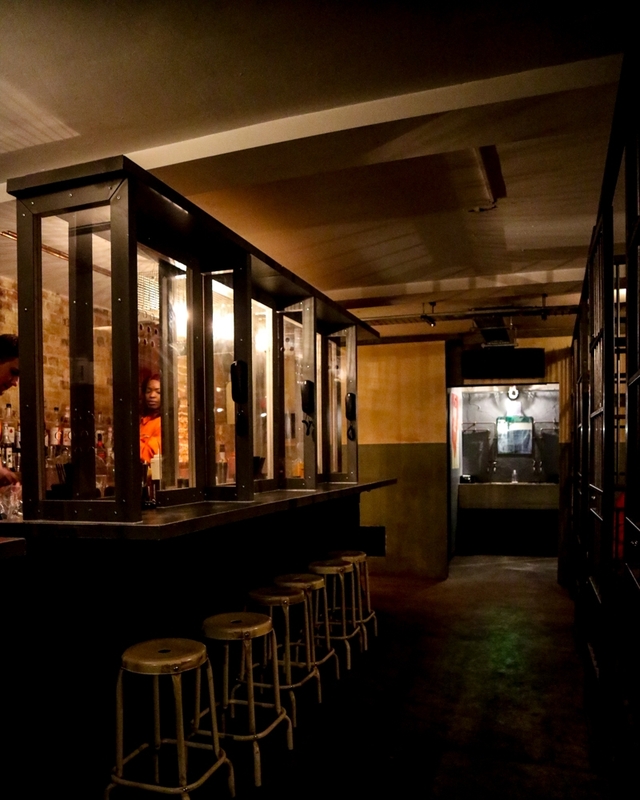 But cocktail-clouded daftness aside, I was happy to be to hitting up this Shoreditch spot for some Mexican goodness, this time completely sober. London probably doesn’t have the best reputation for Mexican food – you’ve either got the smaller chains of Tortilla and Chipotle (which are actually pretty decent), or the bigger-name Wahaca. Which, actually, is also rather good. But beyond those, Mexican’s not really a cuisine you hear all that much of in the big smoke. DF/Mexico have two outlets in the city; one along Tottenham Court Road, and one in the Old Truman Brewery, in Shoreditch. We rocked up at the Shoreditch venue, with no reservation, to find an immediate table waiting for us in the open and neatly decorated space. The interior doesn’t go OTT on the theme, and instead combines clean, modern design with colourful Mexican touches. Ordering is pretty easy – once you’re seated, you head to the self service machines and input your order, then pay for it. They’re easy to use, and there’s usually someone on hand to help pretty quickly if you get stuck. Once that’s done, you can help yourself to the bottomless agua fresca drinks. Horchata, lime or hibiscus juicy water are your choices – and as I realised when I went to Mexico that I don’t much like horchata, I chose the first two options. Mixed. Because, friends, approximately one third hibiscus and two thirds lime is THE way to go with this one. Thank me later. Let’s talk food. Given the choice between burritos and tacos, I’ll probably ‘umm’ and ‘ahh’ for five minutes, then always choose the burrito anyway because, hey, I’m predictable. DF/Mexico’s burritos are worth the predictability though – they’re a dream. I chose steak, which is marinated and grilled, then wrapped up cosy in the tortilla along with some rice, pinto beans, slaw, cheese, avocado salsa and red pepper salsa. The steak is GOOD STEAK. It’s tender, and not overly marinated, so the flavours really come out. My only slight complaint would be that I’d like to have seen more salsa – while the burrito wasn’t dry at all, I basically like my Mexican food to be so messy that a whole knife and fork strategy needs to be executed. But, with the tasty hot sauce and chipotle ketchup available – and both really good – it’s easy enough to make your own mess instead. 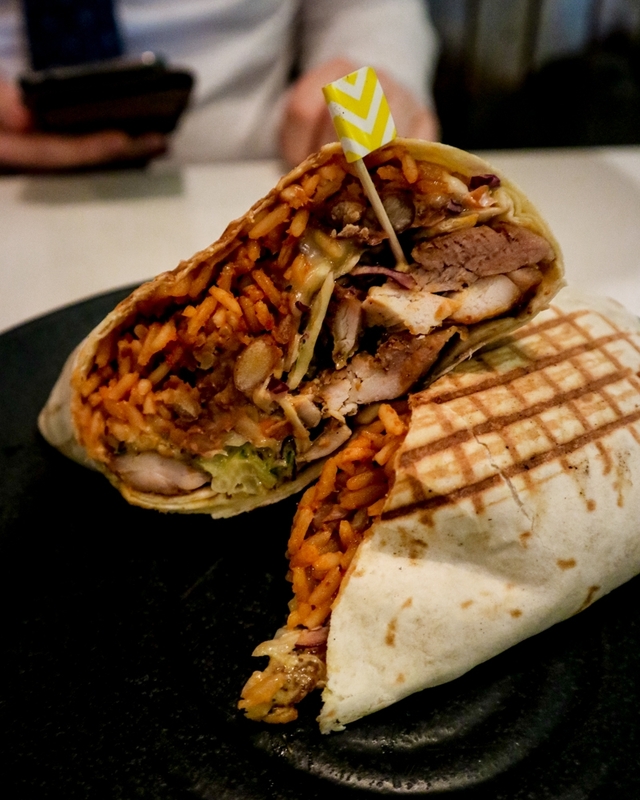 One thing that can be a bit hit and miss with the humble burrito is the texture – it’s quite a MUSHY food, which is standard really – but sometimes, too much mush can be a bad thing. Not the case with DF/Mexico’s offering. The addition of the crunchy slaw gives the whole burrito more texture, and the slight toasting of the whole thing makes for a tasty outer layer that doesn’t fall apart the second you touch it. Basically, the perfect amount of mushy-mushy, while still having some bite to it. 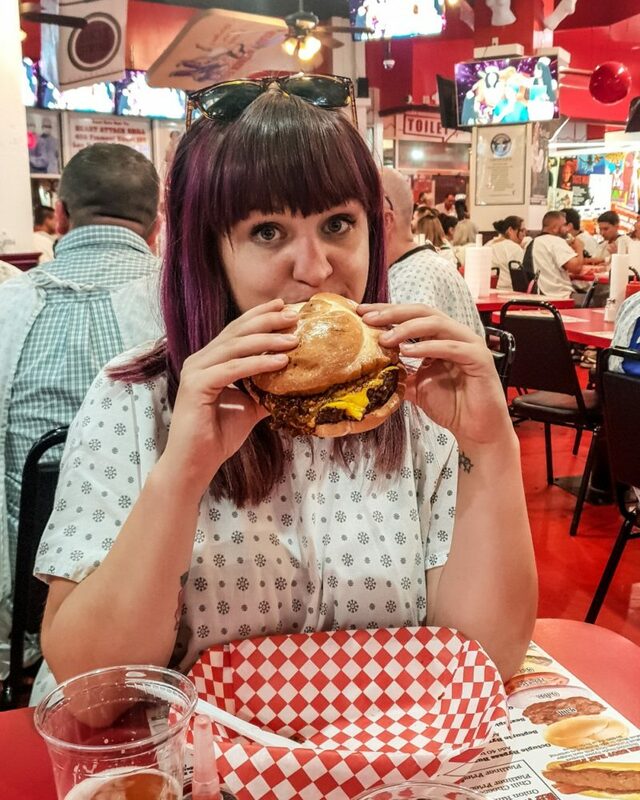 A ‘Normal’ Burger at the Heart Attack Grill, Las Vegas? The burritos are so big you probably won’t need to order sides. But being hungry, greedy in the name of research (of course), I popped in an order for some Cheesy Fries and Pinto Beans with chipotle in too. The Pinto Beans weren’t particularly much to write home about, and could have done with some more chorizo – but the Cheesy Fries, hell yes. Crinkle cut, sort of like Shake Shack but better, and covered in just enough cheese sauce to be generous, yet not SO much you end up with fromage-flavoured cuticles. My second visit to DF/Mexico is certainly far more memorable than my first, and I’m pretty glad – this is a spot I’d definitely recommend for anyone looking to get some tasty, filling Mexican food in East London.